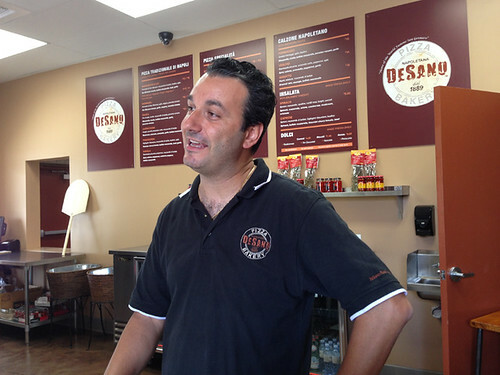 DeSano Pizza’s are hand-made (each made to order) by an authentic (and charming) Italian Pizzaiolo named Massimiliano Di Lascio. 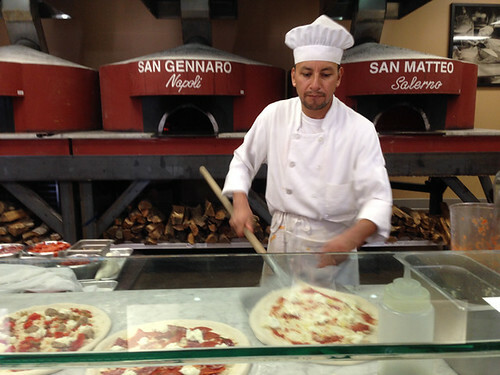 The East Hollywood pizzeria is serving up Neapolitan-style pies with imported ingredients like fresh Mozzarella di Bufala (flown in each week) from Naples. 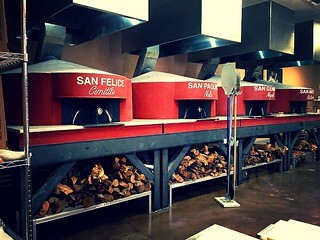 The four, MASSIVE wood-burning ovens are truly the focal point of the room and each are named after a saint. 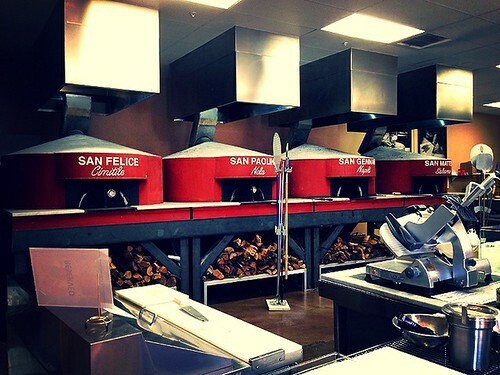 Our four ovens are imported from Italy and each weigh 6,000 lbs. 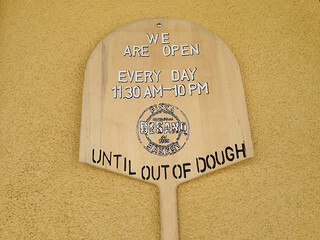 We bake our pizzas at a temperature as high as 1000 degrees, so the cooking time is between 75 and 90 seconds. Baking at this temperature makes that charring on the edges and bottom that is so familiar with Neapolitan pizzas. 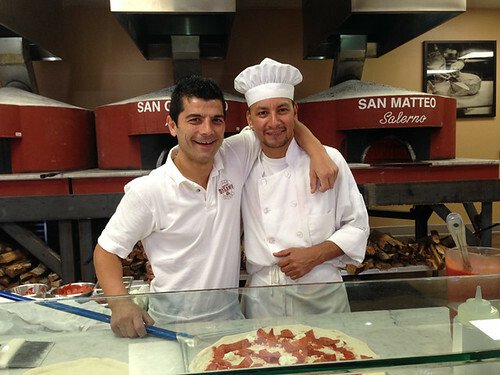 Peter and I tried a few different pizzas recently and the San Gennaro (photo below) is now a favorite. 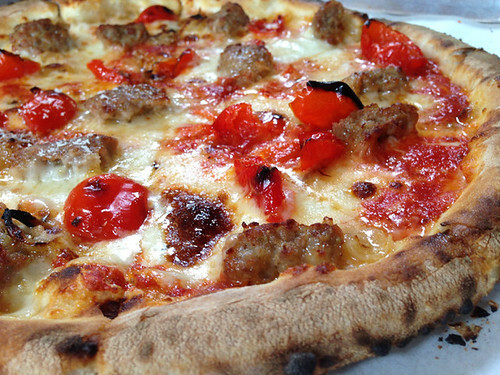 It’s topped with Salciccia sausage, caramelized onions, garlic, buffalo mozzarella and charred peppadews. Fatty and tart, all in one bite. 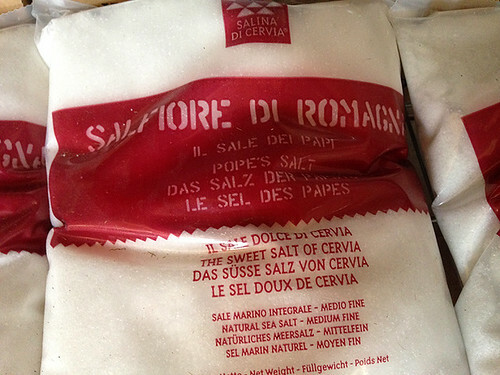 Italian Pizzaiolo Massimiliano Di Lascio. San Gennaro with sausage and peppadew being made. 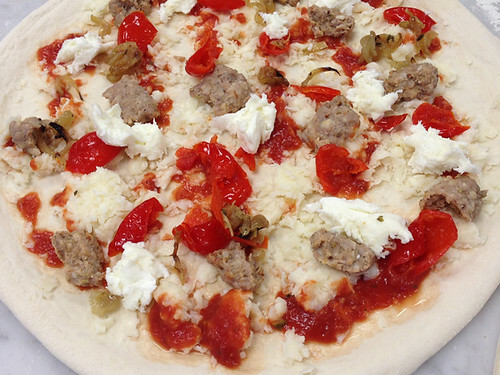 San Gennaro Pizza: Sausage, Peppadew, Garlic, Buffalo Mozzarella, Caramelized Onions. 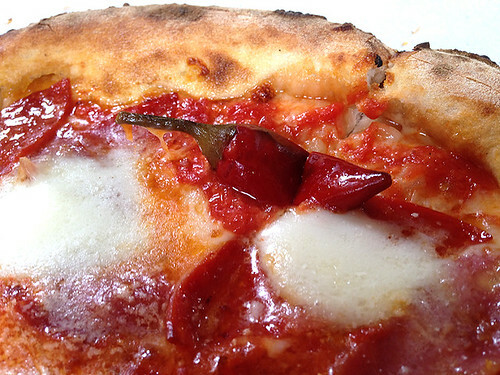 If you like it spicy, go for the Diavola Pizza. It’s made with spicy salame, pepperoni, Calabrian peppers buffalo mozzarella. In the mood for something simple and perfect? 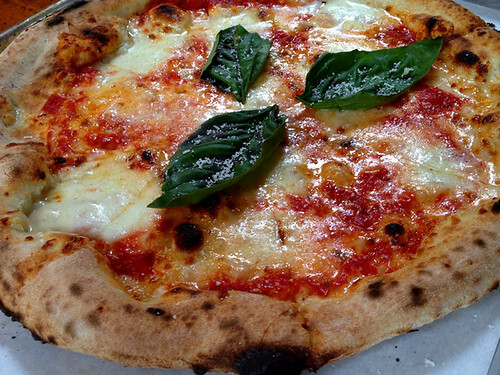 Try the classic Margherita Pizza with San Marzano tomato, buffalo mozzarella, basil, garlic. 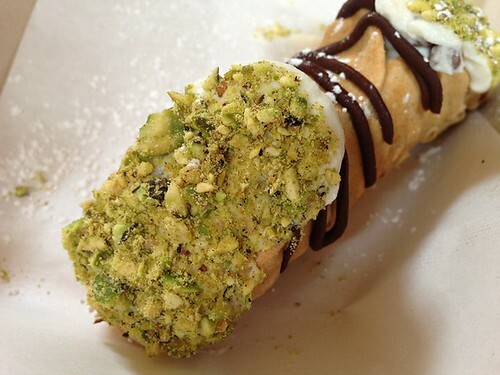 Don’t forget dessert: Pistachio Cannoli. 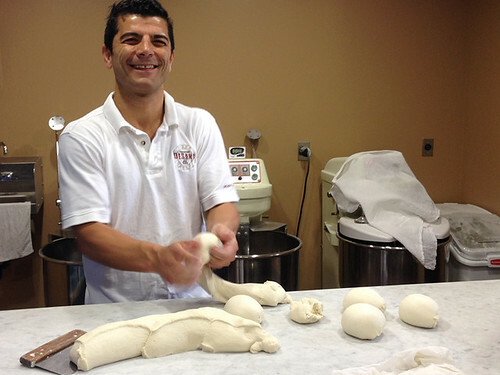 I loved being able to watch all the action, from the dough-kneading to pizza creations. Left: Massimiliano Di Lascio, Right: Maximino Luna. Another shot of the glorious ovens. Make sure you say hello to General Manager Marino Monferrato. You may recognize him from his years at Cecconi’s in West Hollywood. 11:30 am until the dough runs out.